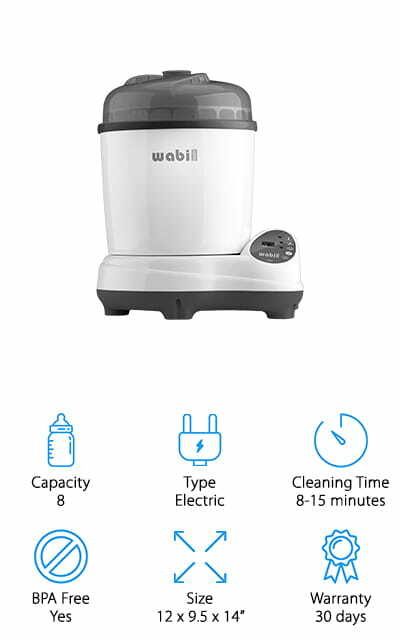 Our choice for the best bottle sterilizer for sale is this one from Wabi baby. 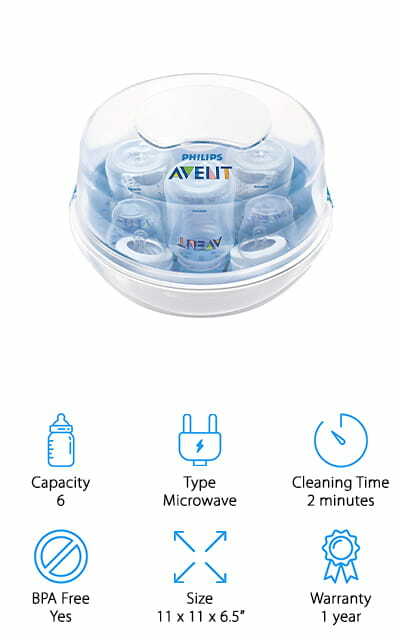 It holds up to 8 standard-sized bottles, and dries them in between 30 and 60 minutes, depending on how you set the timer. 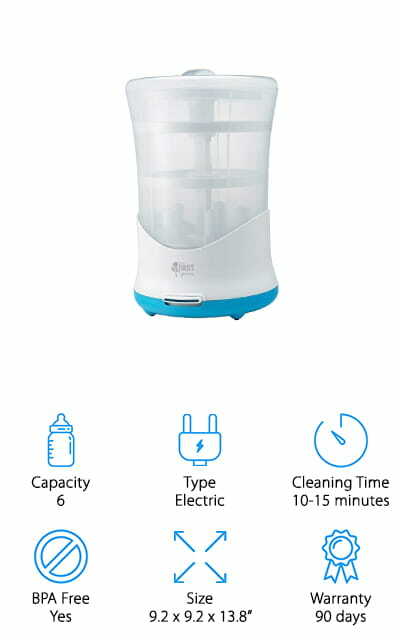 You can sterilize bottles in between 8 and 15 minutes - and it has a smart sensor that tells you when it’s done. 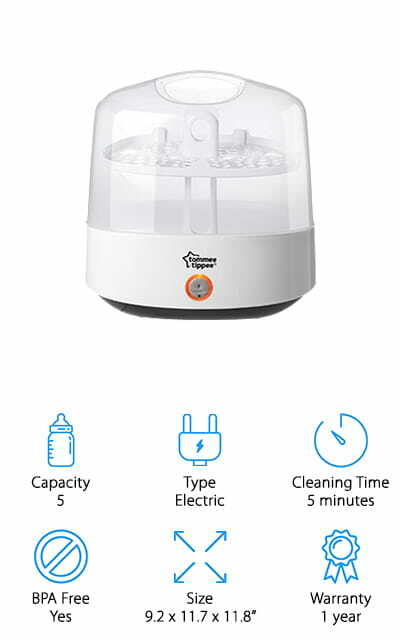 It’s a 3-in-1 device because it will dry the bottle, sterilize them, and also store them for up to twelve hours at a time. 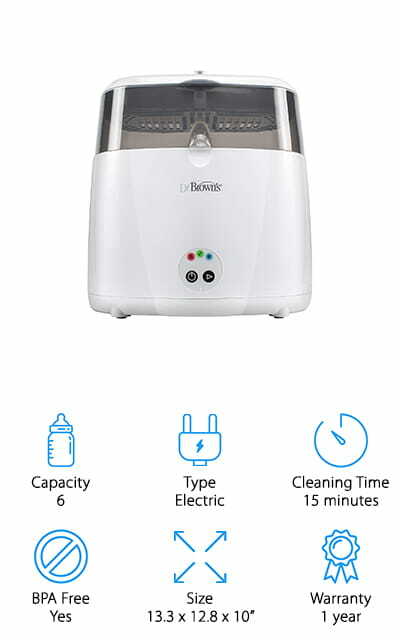 Of course, you can store them for longer than that, but for the first twelve hours, the unit will run drying for about ten minutes every three hours to ensure the bottles are dry and sterile. When you need to descale the device, it is not a big deal - one button does the work for you! As a bonus, you can set the memory so it will dry on auto mode. Finally, we come to the last product on our list. 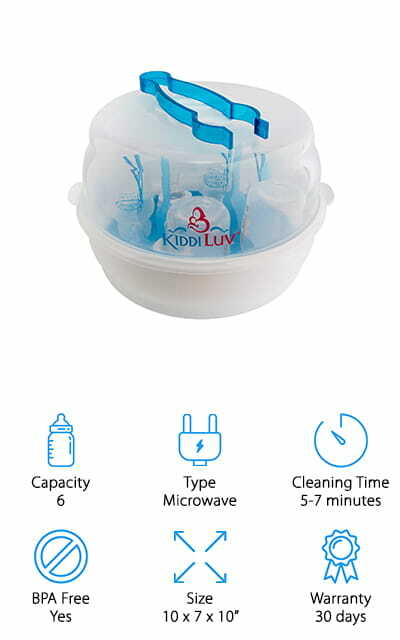 this Kiddiluv microwave steamer only takes between 5 and 7 minutes to completely sterilize 6 bottles - either standard or wide-necked ones. It’s a light solution that will fit in most standard microwaves. If you know you’re going to need the bottles later, you can do this in advance and they will stay sterile for about 12 hours if you don’t open the lid. 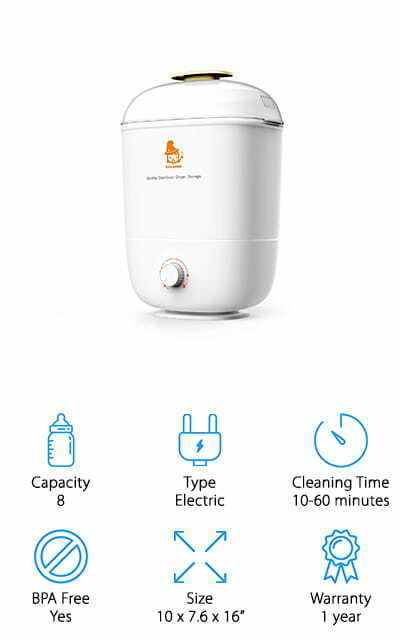 You can use the unit to steam away from the household bacteria on baby bottles and breast pumps, as well as teethers and pacifiers. 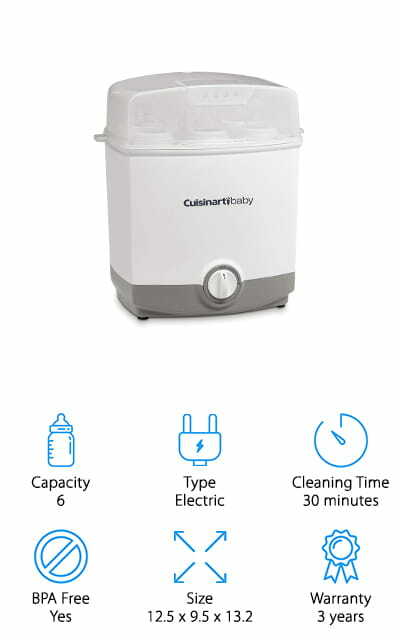 Basically, any plastic is good in this steamer. 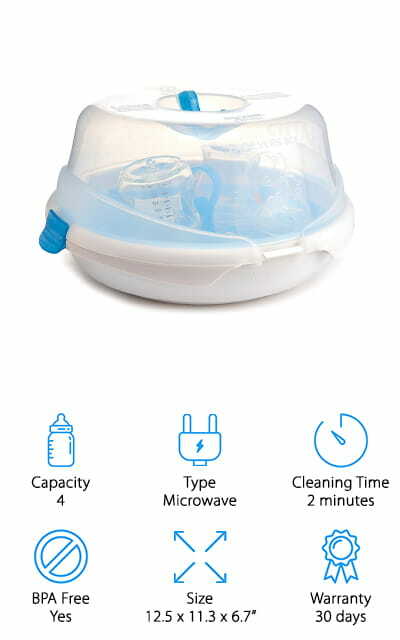 The unit itself is completely BPA free, and it’s easy to store under the counter when you aren’t using it. 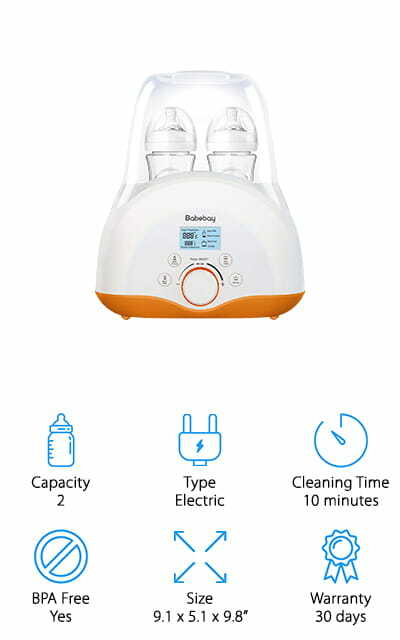 We know you only want the best for your baby - and we do too!